Professional ranges are quite simply commercial styled, high BTU ranges for the home. 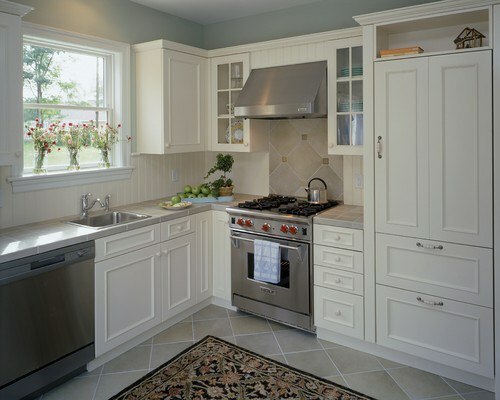 Unlike a true commercial range, a professional range can be installed next to cabinets and are available in 30, 36, 48, and 60 inches wide. Extra insulation and sprinkler systems are not required. At one time, you needed a professional range, or pro range, for high output. Now, regular gas ranges have one or 2 high output burners. Regardless, the pro range is more powerful with a better simmer and a more desirable commercial look. Until the last recession, rebates were unheard of when buying a premium appliance. That has all changed. So we will show you the best products to buy by analyzing incentives. The following shows the most popular 30-inch pro ranges.  Keep in mind, they are also available in 36, 48, and 60-inch widths. The least expensive pro packages will be all gas. Dual fuel has some better features or gas over electric convection, which typically has added features like enhanced burners, intuitive controls, or self-cleaning depending on the brand. Have a brief look at the real difference between the two. Gas convection is a moister heat. It is actually better if you like to cook meats and roasts. Electric is drier and is better for baking. So your choice depends partially on how you cook. The 30-inch range is similar to a normal household range with 4 burners. A 36-inch range adds a larger oven and your choice of two extra burners, grill, or griddle. A 48-inch adds yet another set of burners, grill, griddle, or French top. You also have different special features like a steam oven or speed oven for the secondary oven. A 60-inch is similar with another set of burners and larger ovens. 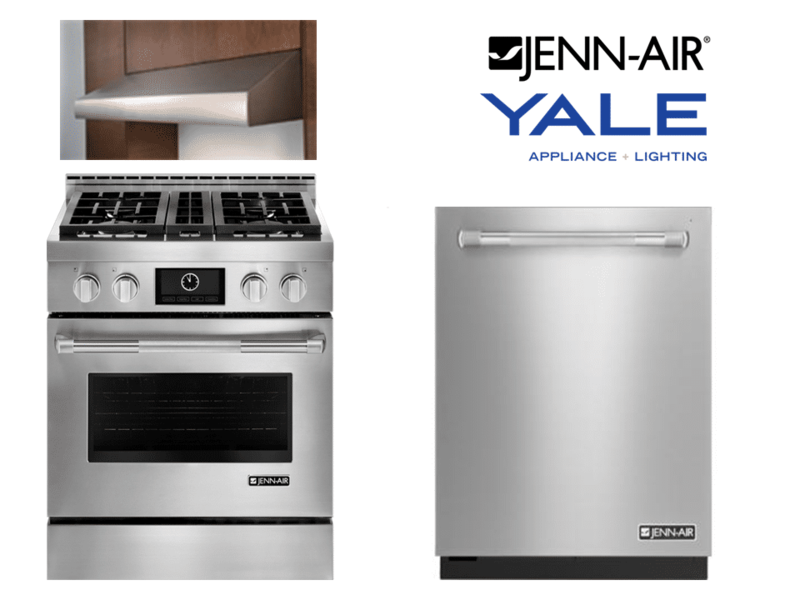 Jenn-Air has become popular, especially since parent Whirlpool invested 300 million in cooking, and more specifically this range (and wall ovens). This range is among the most powerful at 20,000 BTUs (you are probably cooking on 12,000) on two burners. Jenn-Air has the most robust LCD screen and controls as well as twin or two fan convection versus the one in other brands for more even baking. It is also self-cleaning. It also includes a quiet dishwasher and a pro hood. 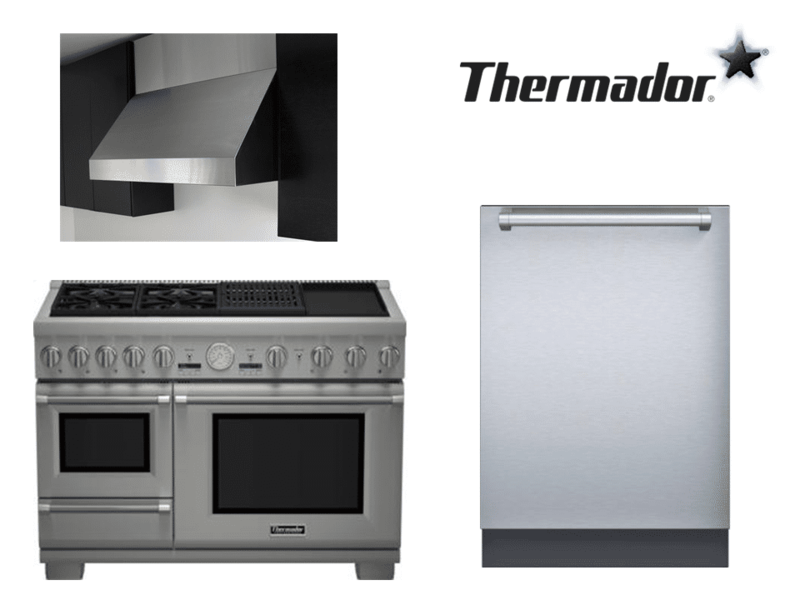 Thermador has the best burner at 18,000 BTU per burner. It also has the best simmer on 2 of the burners down to 200 BTU. The star shape places more heat on the pan and is raised for easier cleaning. The oven is convection but is not self-cleaning (it is in dual fuel). The package includes a quiet stainless dishwasher and a 600 CFM hood. 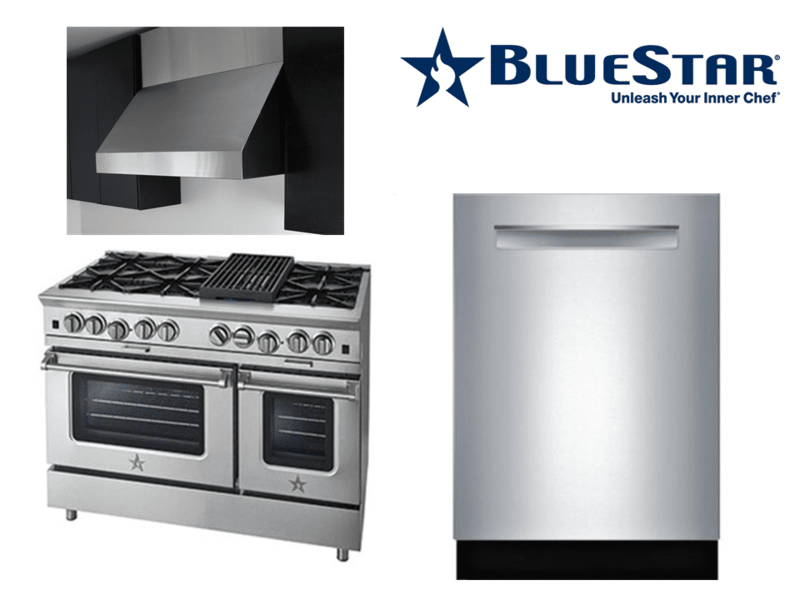 BlueStar has the hottest burners at 25,000 BTU, despite that, it is open and not sealed like the others. Their oven is one of the only pure gas convection ovens. It has more even temperature because the air is blown from the back rather than the bottom. You also have a choice of 750 colors and 8 trims with the BlueStar range. Wolf has a great consistent simmer on all 4 burners as well as convection in the oven. Like Viking, Wolf is a true prestige brand. The oven has incredible flexibility with tons of modes for proofing, dehydrating, and baking on a stone. This package also features a professional hood and a dishwasher. 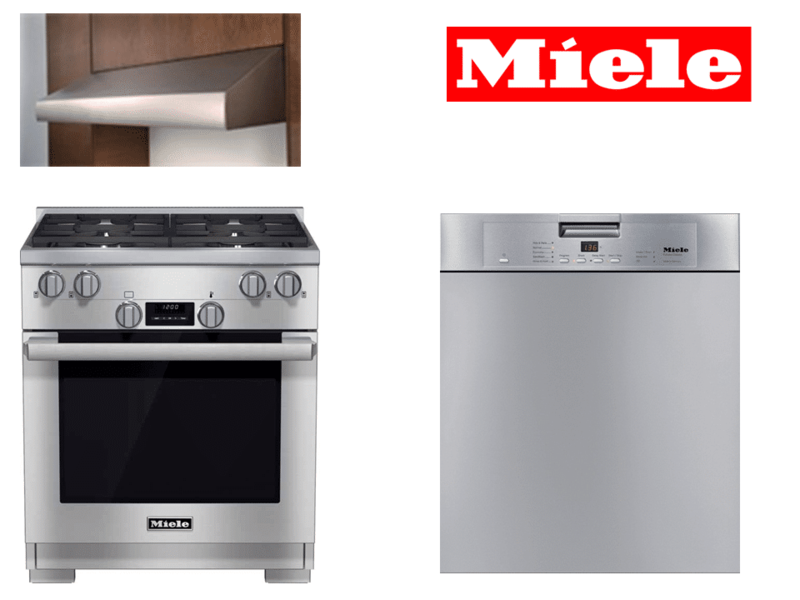 Miele is relatively new to the Pro cooking market, although the range itself is competitive. They have three 19,500 BTU burners with a decent simmer. The oven is twin convection like Jenn-Air. It is really cleanable with self-cleaning, and the racks can be left in the oven during the self-cleaning cycle. The grates can be placed in the dishwasher, as well. 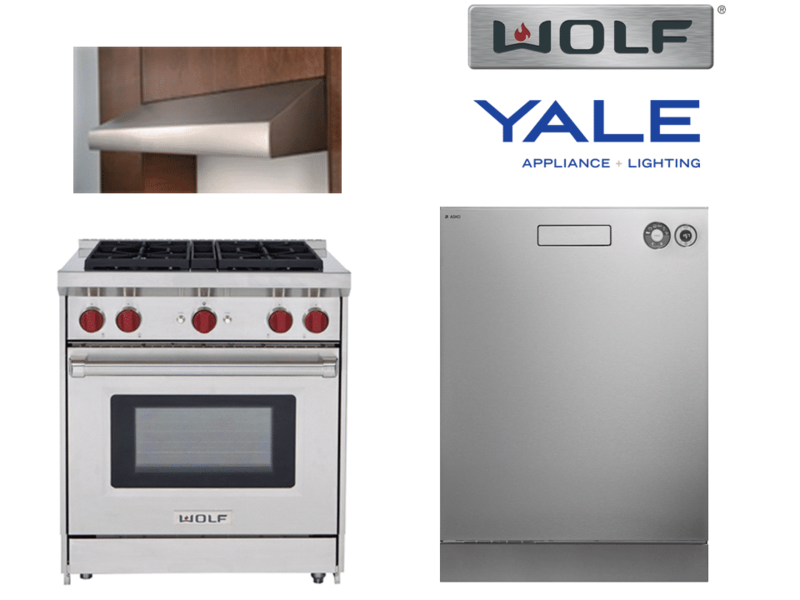 Package deal includes their iconic, reliable dishwasher and a 600 CFM Yale Hood. Miele and Wolf both are unique in dual fuel. Wolf adds an output to the burners of 20,000 BTU. Their dual fuel oven is twin convection with both fans on independent thermostats for the evenest temperature. We added the Asko dishwasher and a suitable pro hood as well (same as all gas). 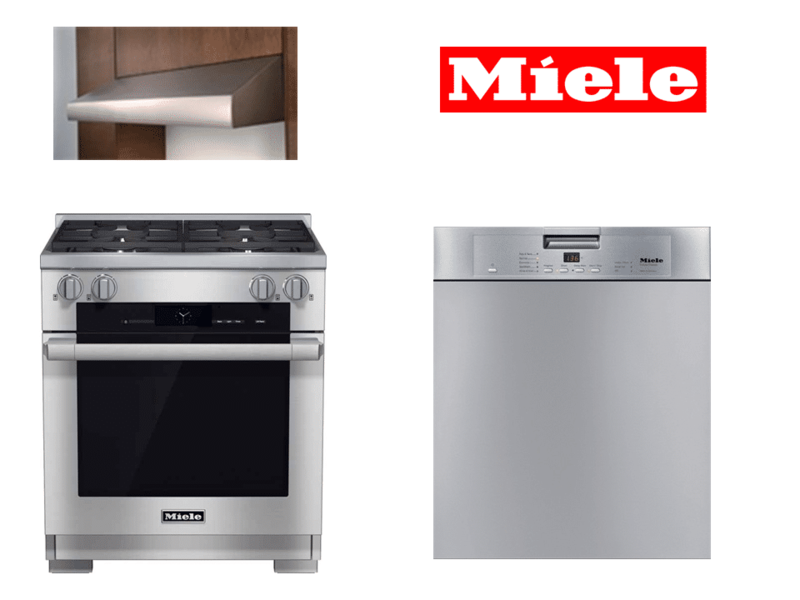 Miele is the only company to add steam in their range. Steam is good for hardening foods like bread crusts. They have also added their MasterChef technology. You will like this because you pick the food, the doneness of how it is cooked, and touch a button. The oven calculates time and temperature. There are many more options both in price and feature. We will look at a higher and lower priced packages. 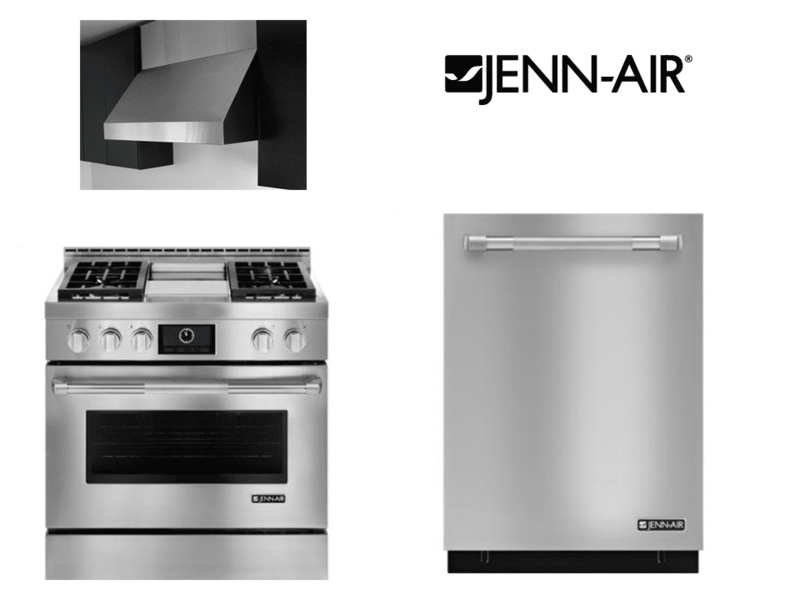 Jenn-Air has the twin convection oven, LCD screen, and decent technology. Their griddle is chromium, so it is incredibly easy to clean. We added the dishwasher and suitable pro hood for the increased output of a 36-inch range. 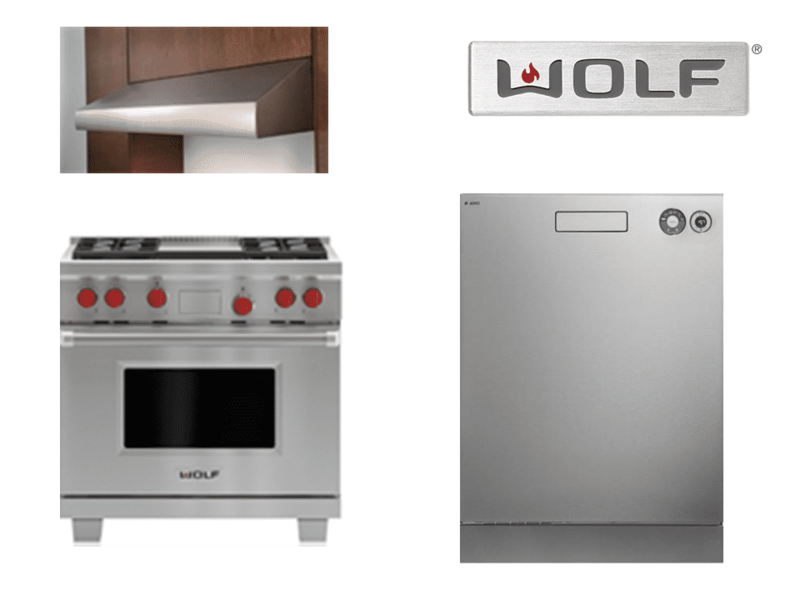 Wolf has the same dual fuel features as the 30-inch range with dual convection and 20,000 BTU burners. However, their infrared grill is the best for its ability to sear quickly and cleanability as it burns the drippings off. Grills are much tougher to vent so we had the appropriate CFM to the hood. The dishwasher stays the same. Like the 36-inch, following are some average prices. 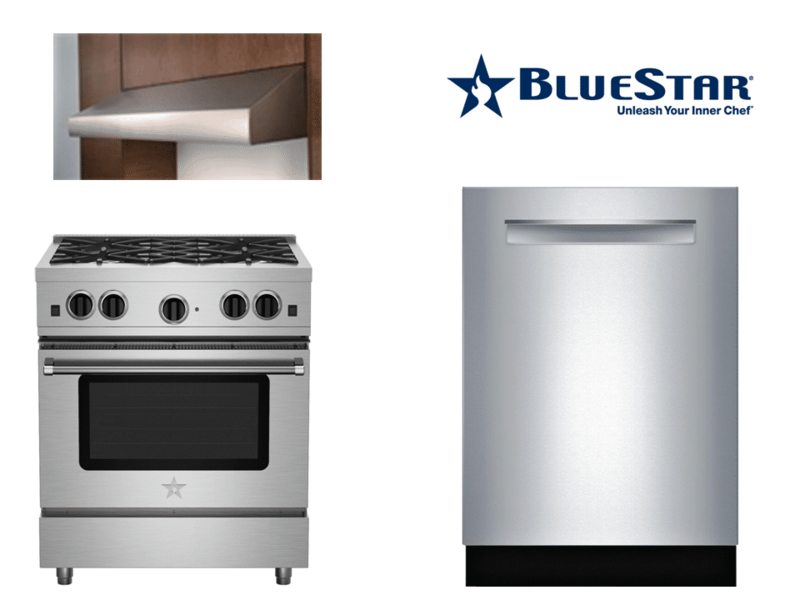 BlueStar has two ovens and 8 burners with a 25,000 BTU maximum. They are unique, not because of their pure gas convection and 750 colors. They use a reversible grill/griddle, both powered by the highest output burners on the market. I do not like the grill as much as the infrared Wolf or Miele, then again, the griddle is pretty good. You also have 8 burners. We updated the hood for use with a 48-inch range. This range is certainly unique. The burners are the same 18,000 BTU with the best simmer. Their grill and griddle are electric. It is surprisingly consistent, except it does not sear as well as Wolf's. Even so, the side oven is steam, and this is worth considering. Steam is the healthiest way to cook because it adds moisture and does not burn out nutrients like a regular oven. Under the steam oven, you have a warming drawer so food can be maintained at the proper temperature without dehydration like a microwave. Size is the first consideration. Then your choice depends on how you cook. All gas is technically better for meats while electric dual fuel is better for baking with a few upgraded features. 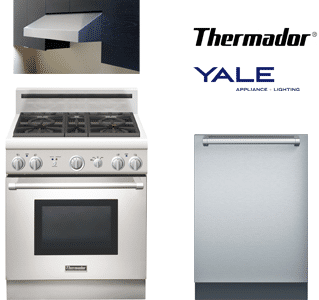 On the top, Thermador has great output on all the burners plus the best simmer. 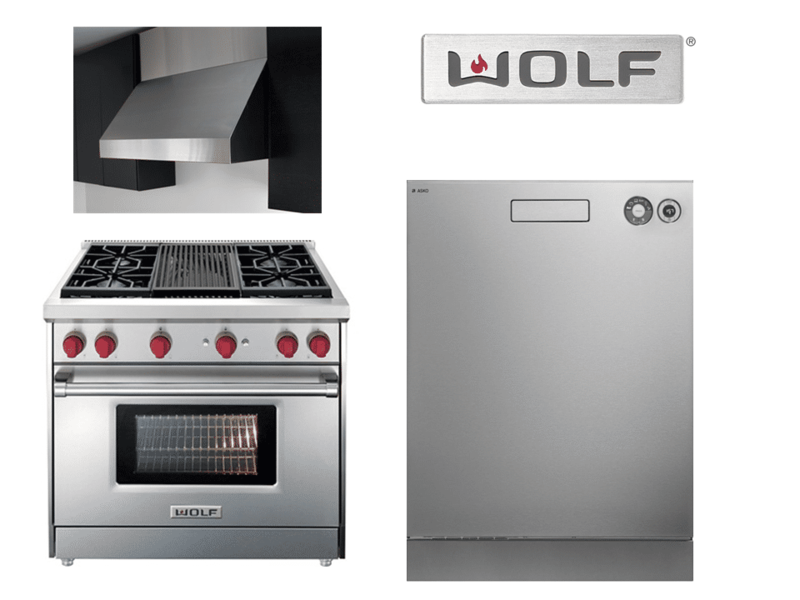 Wolf and Jenn-Air have a couple more powerful burners with BlueStar being the strongest. Nonetheless, you have to clean underneath it. Wolf may have the best oven for temperature. Yet Miele is the easiest to use with the MasterChef in their dual fuel. Bluestar is excellent in all gas but is not self-cleaning. In terms of grill and griddle, Wolf would be the best. Jenn-Air is the easiest to clean. You should check out the controls on the Miele. Their steam assist is pretty incredible, especially for bread. The steam oven on Thermador is the best cooking technology sold. However, there are tons of combinations and prices depending on your particular cooking style. 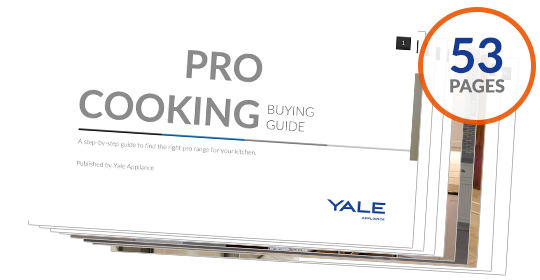 Download the Yale Professional Range Buying Guide with specs, features and BTU outputs of every professional range. Well over 200,000 people have read a Yale Guide.